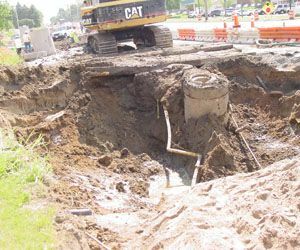 To ensure the overall timely success of the job, utility detection is critical to any construction project where subsurface excavation is planned. If ignored, budget overruns multiply, your schedule turns chaotic and there’s risk of injuries taking place on your job site. The standard is one-call utility locating, a state-sponsored public service that is required for every project. However, the scope of this service is limited to areas that only serve the public’s interest. To achieve the complete success you're looking for, you’ll want to connect with an expert private service provider like GPRS. 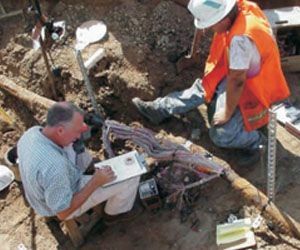 We offer you a comprehensive range of reporting options, from marks on the ground, to a basic field sketch, to a full-blown AutoCAD report that pinpoints buried electrical, water, gas, communication, sewer and storm drain lines. Our report provides you with a permanent utilities location record for future reference. Our equipment is second to none. 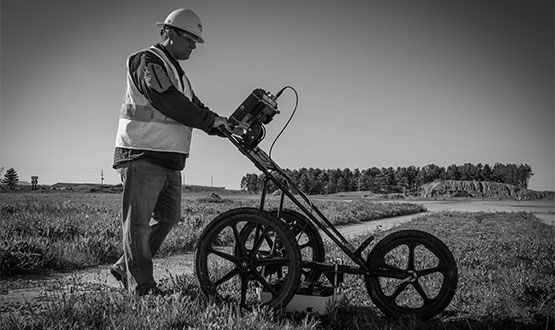 We utilize the latest GPS technology to pinpoint subsurface utilities, map their locations and develop detailed AutoCAD reports for our customers. 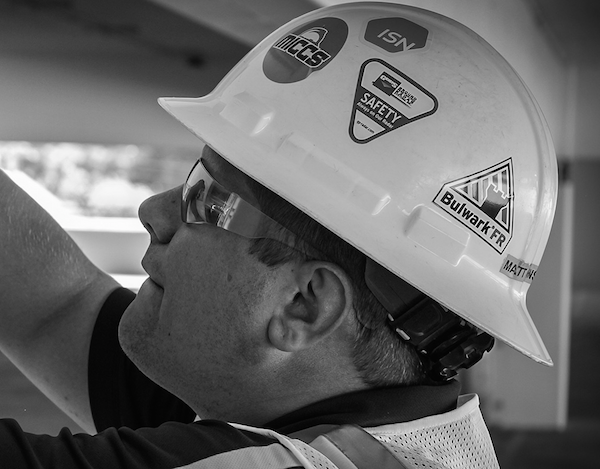 Safety and injury prevention are top priorities at GPRS, as it is for our many clients. It’s at the core of all of our services. Our utility locating services can locate electric, gas, oil, steam, communications, water, sewer, and storm lines. By locating these utilities, we help utility contractors and other construction workers avoid accidental strikes, and because of this, our services help to keep job sites safe. Injury prevention is critical not only for employee safety but to keep projects running on time and on budget. Our project managers are rigidly schooled in all aspects of project safety prior to being certified for field duty. They also are required to take monthly refresher courses to stay current on all safety developments. Your utility locating objective. Is it simple or complex? 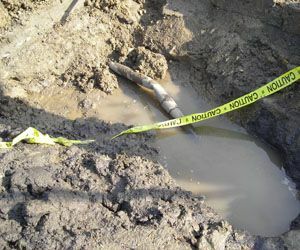 The type and quantity of utilities being located, such as water, power and gas lines; sanitary and storm sewers; and other critical subsurface utilities. The size of the area that is to be inspected. The larger the area that requires utility scanning, the greater the potential impact on cost. The scope of the project. Simple painting/flagging utility locations is at one end of the cost spectrum while requesting detailed AutoCAD reports of our findings is at the other, more costly end. Other options include field sketches and Google Earth imaging. Site access. If there are limitations and restrictions to when we can access the project site in terms of days and times, it will impact the cost of the project. 1. 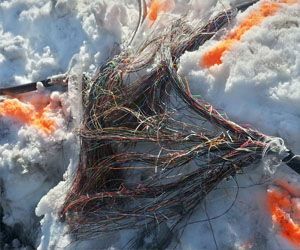 Can GPRS find plastic pipes? Yes. The technology and expertise applied to your project site allows for the discovery of the varying pipe compositions existing in the industry. 2. Can GPRS determine the type of utility it has located? Our equipment can’t determine the type of utility we’ve found but, often, our project managers can. With their experience and knowledge, they can trace the line to where it surfaces and determine its type. 3. How accurate is your utility locating? We’re very accurate. Specifically, + or – 6 inches to the center of the utility we find with depth accuracy at +/- 10-15%. 4. Can we get a permanent record of your findings? Yes. We can provide you with a field subsurface utilities markings map and a detailed AutoCAD report. 5. How large of an area can be scanned for utility locations in one-day? The size of the area that can be accurately located in one-day will vary based on the project site itself. Vacant/green fields many acres in size which are scheduled for residential development can be accomplished with great speed as the expected congestion of utilities is low. On the other hand, a small property (less than one-acre in size located on a busy metropolitan street) could be very time consuming as the anticipated utility congestion is high. 6. I have heard that saturated soils or a high-water table can be detrimental to the results produced using ground penetrating radar, is this true? It can be. While the equipment used by GPRS is effective, it can be inhibited by moisture. It is best to contact your local expert GPRS project manager for more information on the soils native to your project. We do not compete with state agencies during our utility locating projects, and we believe that it would be irresponsible for anyone to move forward with a project without utilizing a one-call service. But there are distinct differences between our services. The local 811 One Call System available to you serves as a supplement to GPRS’s more thorough utility investigation. 811 One Call services typically will only locate public utilities up to your property’s meter or private connection point. Private utilities, on the other hand, are the responsibility of the property owner. Remember: These privately and customer-owned utilities account for almost 65% of all buried utilities in the United States. Misc. utility lines such as oxygen, steam, chilled water lines, nitrogen and other chemical transport type utilities. 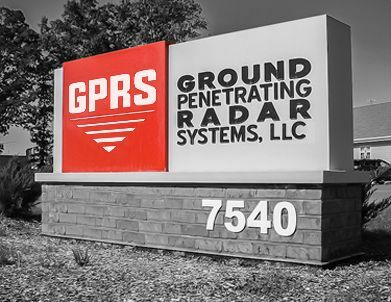 Before you begin your construction or digging project, please contact your local GPRS sales representative. 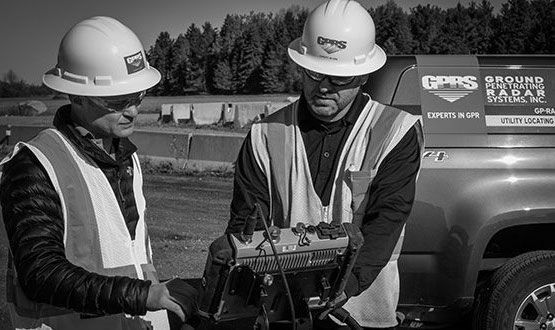 GPRS has an unmatched nationwide network that makes it easy to find a project manager in your area. Contact a local project manager who can provide you with additional information, a price quote, or help you schedule a project.